Over the past few years, more and more people are turning to mobile devices as their primary tool for accessing the Internet. Gone are the days where everyone had a desktop computer – now everyone has a smartphone and maybe even a tablet to go along with it. As a result, businesses have had to change how they reach their customers online. As an Ecommerce business, it’s important to think about the mobile experience you’re providing to your customers. With so many people using mobile devices to access the web, if your site is subpar, you’re likely going to miss out on customers. 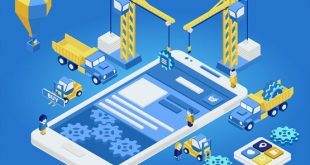 With that in mind, here are 5 ways that you can improve the mobile experience for your Ecommerce business, and set yourself up for long term success. The first thing you should focus on is ensuring your website is using responsive web design. Responsive web design allows the website to change based on the screen viewing it. Think of it this way – if you design your website to look great on a widescreen computer monitor, it probably won’t look the same when you view it on a 4 inch mobile phone. But with responsive web design, the format of the page will shrink or expand based on the screen size. This means your website will look great on any kind of medium, not just laptops or desktops. If you had someone design your website for you, ask them whether they used responsive web design. If they didn’t, now is the time you’ll want to get it incorporated. 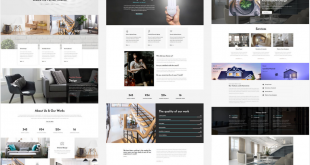 For those of you that had your website created through a service like WordPress, make sure your theme supports responsive web design and change themes if it doesn’t. Or, you can create a WordPress mobile app to make your website mobile-friendly. Lastly, if you decided to buy an existing website, you’ll want to check to see if it has a responsive web design. A great way to check is simply load the page on a variety of devices and see if the pages adjust accordingly. Responsive web design is only going to grow more important as we start to rely on mobile devices more frequently. By making the change now, you can set your website up for long term success. The next thing you should focus on is how fast your website loads. Studies have shown that if your website is slow to load, it’s probably costing you visitors. 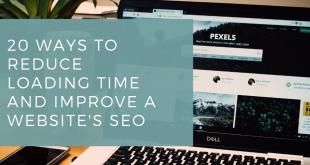 People only give sites a few seconds to load, and if they don’t, they’re likely to go back and try a different website. Luckily, there are a few simple things you can do to reduce load time. For starters, make sure all of your images are optimized for the web. You don’t want to use images that have a large file size, as these take a long time to load. After that, look at your server. The server you host your website on plays a large role in determining how long it takes to load, so if your website is slow, consider upgrading to a faster server. Third, if you’re using a service like WordPress, check the plugins you’re using. Make sure you need them all and remove any unnecessary ones. The more plugins you have to load, the slower your site will be. If your website is running very slowly, one plugin could be the culprit. Try turning each off one by one and see if it improves site speed. If it does, you’ve found the culprit. To test your page load speed, you can use this tool from Google. Have you ever tried using a website on your phone, but the buttons were too small? You go to tap one, and you hit another one by mistake. It takes you twice as long just to navigate the website, with your frustration increasingly the whole time. As an Ecommerce site, you want to eliminate this possibility. Make sure all of the buttons are large enough to use easily on a smartphone, and that they are not too close to another button. Often times we plan our websites around computer users and don’t think about the people who will be using this site on a small screen. Simply changing the button size and location can go a long way towards ensuring your site is easy to use. If you really want to make shopping through your ECommerce business easy on a mobile device, consider developing your own app. Apps are designed to be much easier to use on smaller screens, and can greatly improve the customer experience. Not only that but if you can get a customer to download your app, you’ll improve customer loyalty and make it more likely that they’ll shop from you again in the future. Creating an app can be a lot of work, but there are also some great benefits. Take some time to consider the costs associated with this, and weigh this against the amount of sales you might get. For some a mobile app doesn’t make sense, while for others it’s the perfect solution for increasing sales. To learn more, check out this guide about becoming an app creator. Finally, the last thing you need to focus on is making it easier to check out. If your checkout process is complicated on mobile devices, many people will give up and find the product elsewhere. There are two main things you can do to make checkout easier. First, remove as many steps as possible. Don’t make your customer go through twenty pages just to complete their order. Have one page ask for their contact and payment information, another to review the items in their cart and the third page for confirmation. Besides that, give your customers options when it comes to payments. Some people don’t like to enter in their credit card information when they’re using public WiFi. By having options like PayPal or Google Wallet available, customers can check out easily and securely. Go through your checkout process and look for ways to simplify. The less typing people have to do on their small mobile devices, and the less pages they have to go through, the better. As you can see, making your Ecommerce website more mobile-friendly doesn’t have to be too complicated. Sometimes all it takes is tweaking your web design, shrinking some images, or just simplifying the checkout process. However, little changes like this can go a long way. And in a world that is coming to rely on mobile devices more each day, it’s these little changes to your mobile experience that can help you stay ahead of your competition and drive in customers for years to come.